And even though modern cars are built far better than their ancestors were, it's the antique and classic autos that hold our interest. If classic cars predominate, it is probably because, like great art, it takes time for a design to escape the influence of fashion and be fairly judged on its own merits; it also explains why many modern cars take older models as their inspiration. 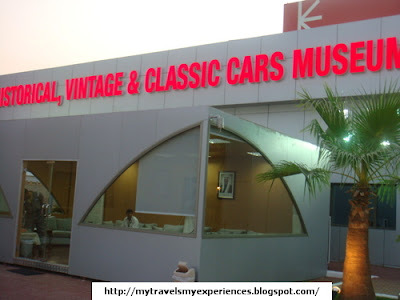 There is something special and unique from classic cars that are not found in a new or modern car. There is a sense of satisfaction behind the appearance of luxury, an exotic design, its historic value, makes the classic car a worthwhile investment in the future. I visited the Vintage Car Museum in Amman, during our visit to Jordan. 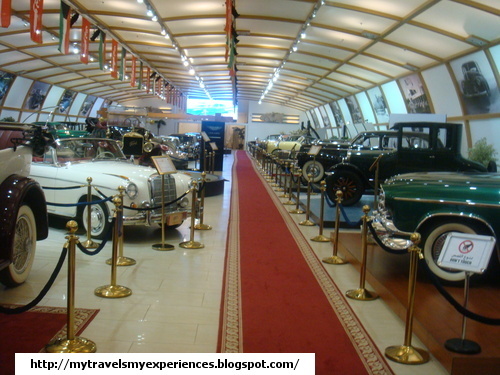 Kuwait too has a beautiful and rich Historical and Vintage Car Museum.The idea of the museum is to show the world the history of Kuwait and to connect the past with the present and the future.It was established to show Kuwait’s automotive tradition and to preserve vintage vehicles of the region. 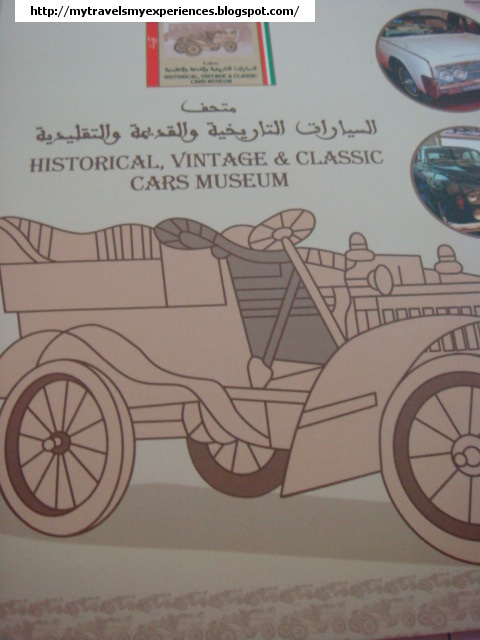 1) Preserve that Kuwaiti historical automotive culture with vehicles that witnessed an important era and holds valuable historical value, to be part of nation's cultural and touristic activities. 2) Contain the youth to improve their knowledge and skills to make a better use of their free time. 3) Guarantee to keep the same identity and express it under official umbrella. 4) Participation at National Events and Celebrations. 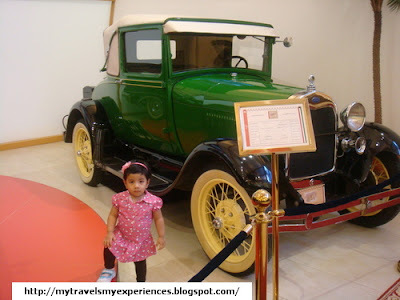 5) Inform and educate the public about the international automotive manufacturers and their pioneers. 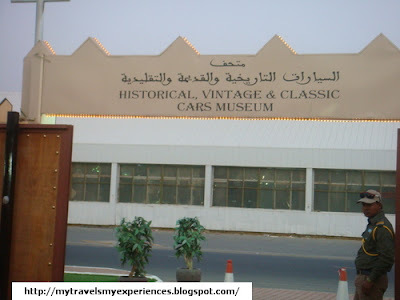 6) Maintenance, service and supply of spare parts for Historical cars. 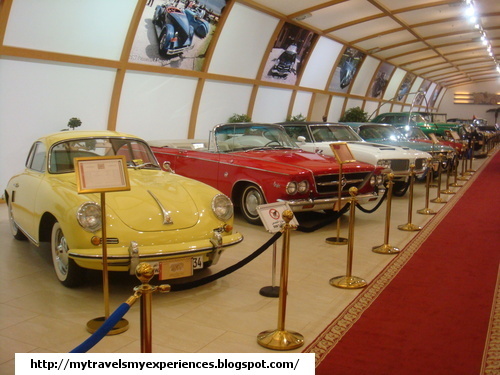 7) Hold International Concourses and exhibitions of Historical, Vintage and Classic cars. 8)Providing all kind of Historical and current Automotive information to the public through the Museum's Information Center. As well as the cars on show, facilities at the museum include a library of books and magazines. It also serve as a centre for car enthusiasts and host activities for owners and fans. Many cars in the collection come from the Al-Sabah family of Kuwait, including a presidential Lincoln and an Imperial.Also saw cars donated by Princess Sarah from S.Arabia and President of New Zealand. There are nearly 50 cars on display excluding 2 bikes at the entrance. 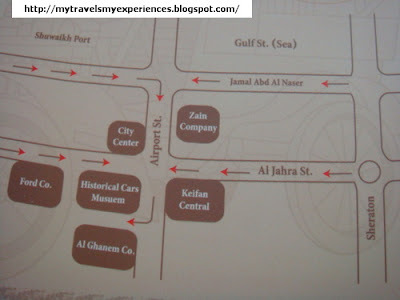 Address: Shuwaikh Industrial Area, Block 8, Street 49. 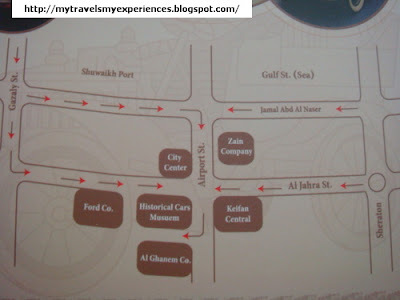 ( A little tip: Have you seen the City Center at Shuwaikh? For more information visit www.kuwaitcarmuseum.com.kw. Our visit was an unforgettable and enduring experience. Nice article and thanks for the directions. 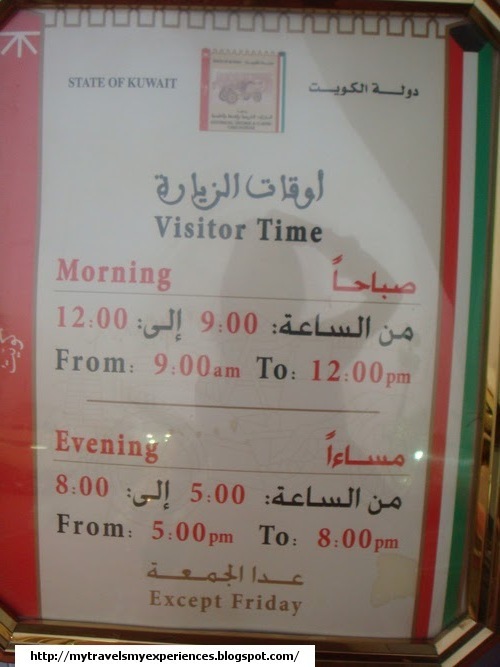 Will look forward to more articles on places to visit in Kuwait. 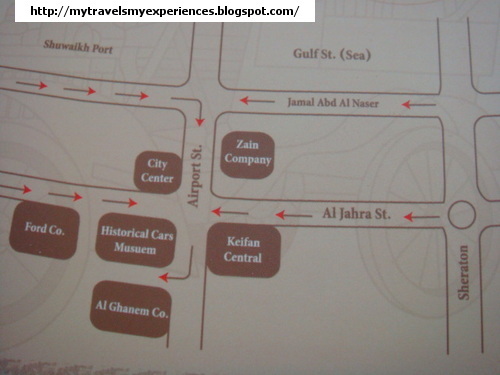 Just check out the archive, you will get lot of information on various places to visit in Kuwait.